Your tour guides are Mediums! Some investigative equipment is available for use. The Municipal District of Campbelltown was proclaimed in 1882. The then Temperance Hall in Queen Street, built by James Bocking and his Sons of Temperance in 1862, was purchased in April 1884 for 800 pounds for a Town Hall. 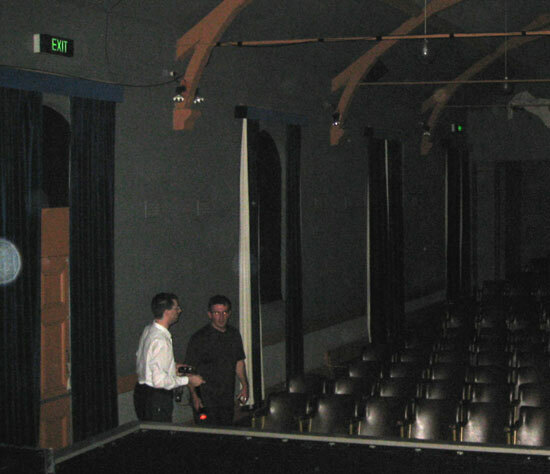 This hall, 20m x 11m, with a 7.6m x 5.5m stage, could seat 400 people and was lit by kerosene lamps. A fire station designed by Alfred Rose Payten, was built by George Lusted next door to the Town Hall in 1891. Almost immediately it was taken over by Council for the Clerk’s Office and the following year a matching facade, also designed by Payten, was added to the Town Hall. The Board of Fire Commissioners threatened Court action to retrieve the fire station, but in 1909 it accepted 75 pound from Council for the premises. The facade of the fire station and town hall is decorated in solid late Victorian style, and this is the main character of these buildings. These two buildings now appear as one. Almost four months after the mysterious disappearance of local farmer, Fred Fisher, in 1826 a strange occurrence took place in a local hotel. On that memorable night, a wealthy and respectable farmer, John Farley, stumbled into a local hotel in a state of shock. John claimed he had seen the ghost of Fred Fisher sitting on the rail of a bridge over a creek. The ghost pointed to a paddock down the creek then faded away. The body of Fred Fisher was later discovered in the paddock where the ghost had pointed. His brother buried him locally in St Peter’s Graveyard, however no headstone was erected. Frederick George James Fisher was born in London on 28 August 1792. He worked as a shopkeeper until, either innocently or deliberately, he obtained forged banknotes through his business. On 26 July 1815, Fred was sentenced to 14 years transportation to Australia. In 1822 he applied for a ticket-of-leave and eventually secured a property at Campbelltown. In 1825 Fred had an argument with a local carpenter and received a light prison sentence. Worried about his farm, Fred gave his neighbour, George Worrall, power of attorney during his sentence. After his release, on 17 June 1826, Fred Fisher mysteriously disappeared and George Worrall announced that Fred had sailed for England. Three week’s later, George sold Fred’s horse and belongings. Needless to say the townspeople were suspicious! On 17 September 1826, George Worrall was arrested on suspicion of Fred murder. 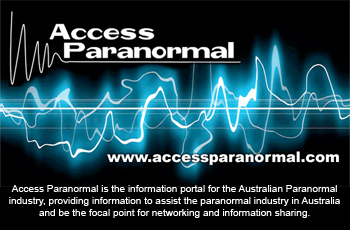 During the trial George confessed – even through the tale of the ghostly sighting could not be told in court, as stories of the supernatural were not permitted in a court of law. In a strange twist of fate, George Worrall is now buried at one of Australia’s most popular locations overlooking Sydney Harbour at The Rocks. 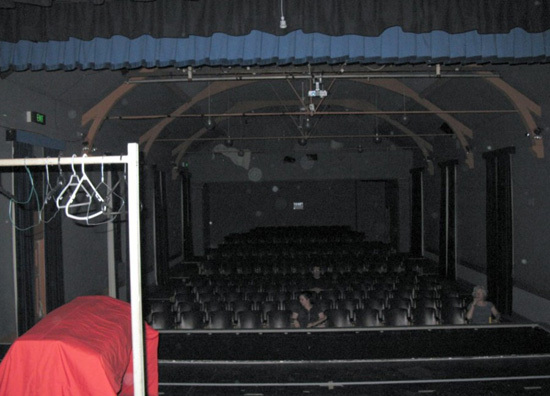 The Theatre is said to be haunted by the ghost of Fred Fisher, whose demise in 1826 has been made famous through the legend of Fisher’s Ghost. George Worrall, who was executed for the murder of Fred Fisher, rented the land on which these buildings stand. Fred Fisher was living in Mr Worrell’s house at the time of his murder. The stories of Fred’s activity certainly multiply at the southern end of Queen Street, where Fisher once had his farm, and where he was murdered. 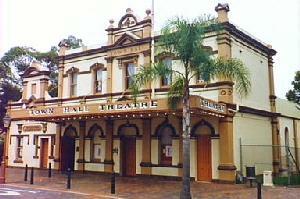 The Town Hall Theatre is arguably the most regular haunt. 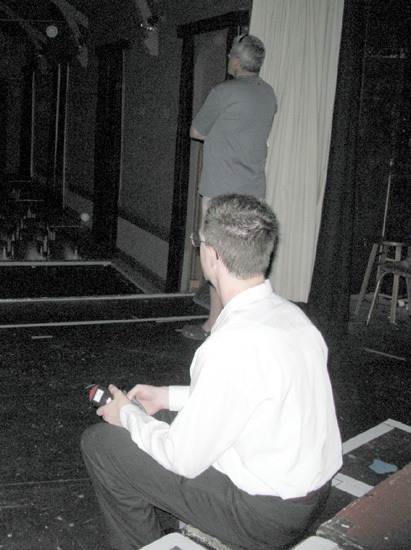 Many theatre group members recount tales of flickering lights, eerie footsteps and misty figures walking on stage during rehersals. After finding his way to the switch and turning the lights back on, Neil saw a man moving across the stage. Ignoring calls for him to stop, the man moved into a nearby room. Grabbing a piece of wood, Neil followed him: ‘When I opened the door the room was empty. It was an odd experience to say the least’. Most members are now convinced he is just a friendly ghost, just mischievious, and call out his name when things go wrong. Despite the oppressiveness of the hot weather, the Ghost tour turned out to be very interesting. It was great having a few mediums with us, to share our experiences on the night. Our very own Charlene went from originally believing there was nothing supernatural there to having an in-depth conversation with an astral fireman. Charlene commented, “The fireman was a bit of a surprise. I didn’t expect him to follow me around all night. The night was full of interesting surprises and I don’t think that I will ever look at that building the same ever again (walking past it now will be a whole new experince)”. Later on during our discussions, we learnt that a fire station was originally built next door to the Town Hall in 1891. The fire station was taken over by Council for the Clerk’s Office and the following year incorporated into the Town Hall with a matching facade. There was definitely a variety of energies felt within the theatre. I had a sense of an active spirit presence on the stage of the theatre that stood behind the side curtains and watched the performers. Although the majority of the energies were residual, there were some active spirits, some elementals running around in tunnels under the hall and few spirit cats also making their presence felt. The evening ended with a seance in the upstairs room, where we communicated with a variety of spirits, one of them supposedly George Worrall who was hung for Fred Fisher’s murder. Checking photos for any interesting results. 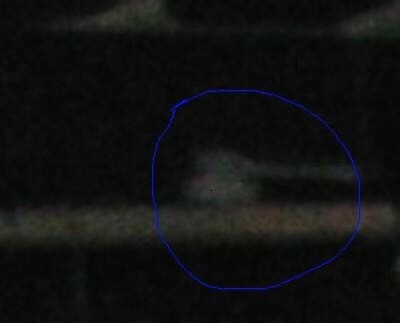 Large orb at left of photo. 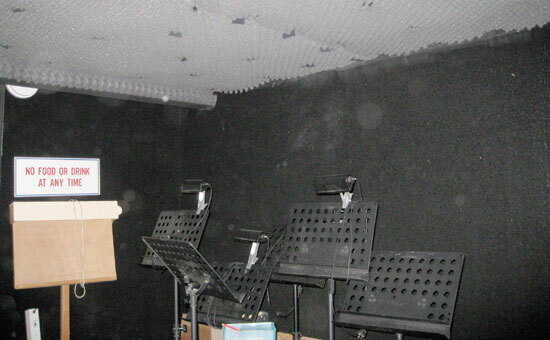 Many orbs in one corner under the stage – I felt particularly drawn to this corner. 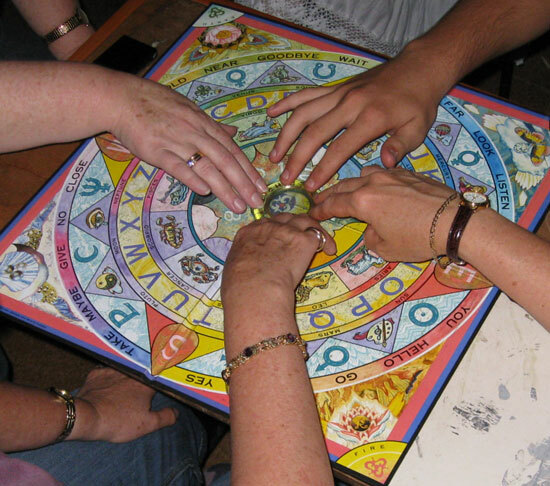 Four people using the ouija board. 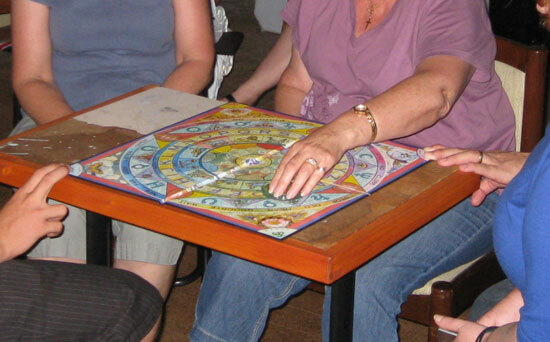 Only the medium using the ouija board, with two people holding the board to steady it.